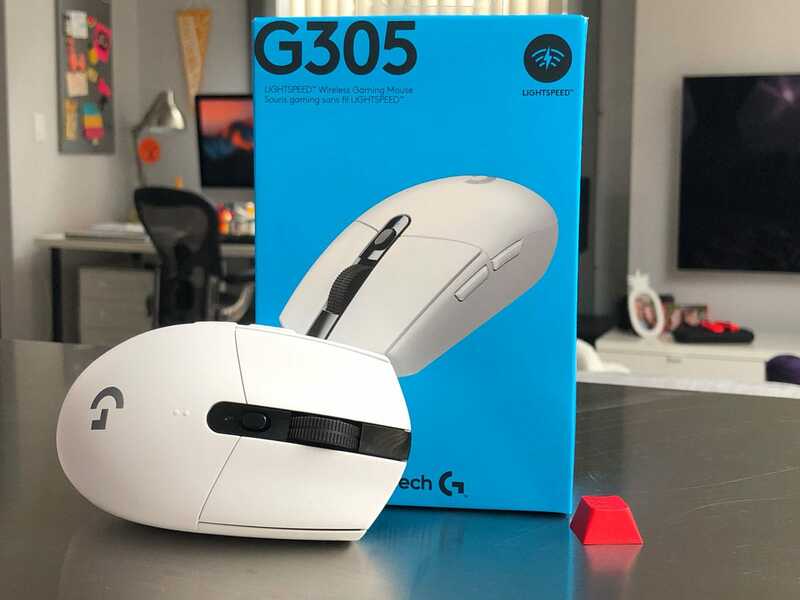 Weird naming convention, great mice, the G305/G Pro Wired are great mice, they offer great performance, feel and response in one tiny 85 gram package. The combination of shape, performance and price makes these mice contenders for being the ambidextrous king. We’ve ranked the Logitech G Pro and its updated wireless version the G305 #3 on our best mouse list, and our best small wireless mouse. Soft middle click button on G305, great on wired. A solid small ambidextrous mouse with the best sensor and the best clicks on the market. The Logitech G Pro is a small mouse with a very safe ambidextrous shape and unassuming design. 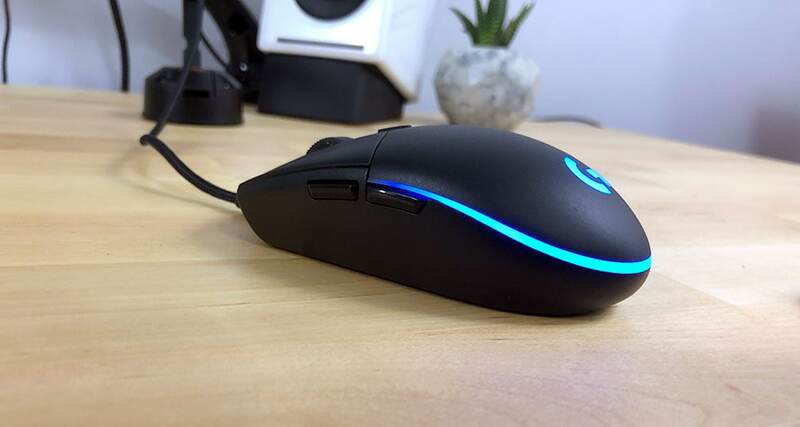 The shape of the mouse is reminiscent of the G100 and is around the same size as the G303, so if you like those mice, you should definitely give the G Pro a shot. Because of its very conservative design, it works for a large majority of grips but I don’t think it’ll be the most comfortable mouse you’ll run into. It’s a generalist mouse, but some people prefer that and a lot of pro players do prefer a smaller mouse that doesn’t try too hard to fit your hand like a glove. The G305 is likely going to be better for fingertip and claw grips over a hard palm grip due to its flat and low shape. The G305 and G Pro wired measures in at just 6.2 cm width, 11.6 cm length and 3.8 cm height, the mouse is clearly meant for smaller hands, for me personally it was a little small. The sides of the mouse are free of any grips and are pretty flat on the sides, but the mouse is so light and well shaped that picking up the mouse is easy. The entire mouse is made of matte plastic, it has a decent grip but not as slippery as the G Pro Wireless. 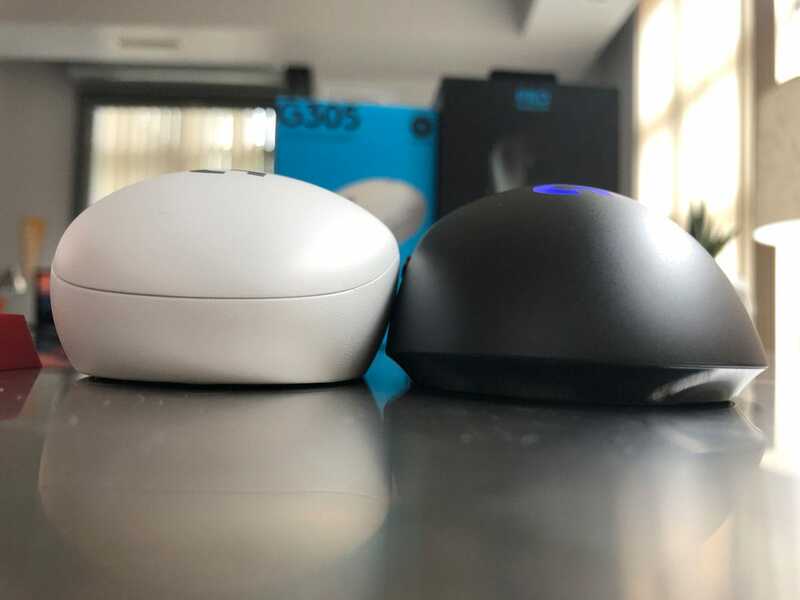 It looks like there’s a bit of inconsistency with build quality, the black version of our G305 is very creaky when squeezed, the white version squeaks a lot less, not a huge issue unless you kung fu grip your mouse. The G305 also has a little rattle when shaken, it’s not the most solidly build mouse I’ve reviewed. There’s a little to be desired about the feet of the mouse, the G Pro features 4 small skates in each corner of the base, while it does do the job, I prefer more substantial feet on my mice. The G305 packs the HERO 12K sensor, from all my testing is a flawless sensor equivalent to the Pixart PMW3366, Logitech has produced the HERO 12K to optimize for battery life, I’m happy to report that Logitech has done an amazing job with battery life, 250 hours on a single AA. 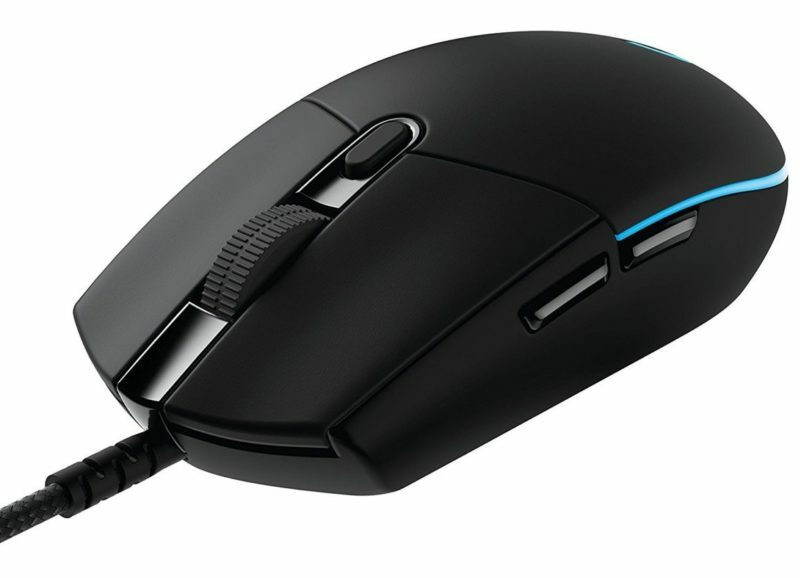 The Logitech G Pro packs a Pixart PMW3366 optical sensor, this is Logitech’s version of the top-tier PMW3360. The PMW3360 ensures a large effective range in DPI, no spin outs, no acceleration or prediction, no jitter and a low lift off distance. If you see Pixart 3360 or any of its variants, you’re getting what is essentially a perfect sensor. 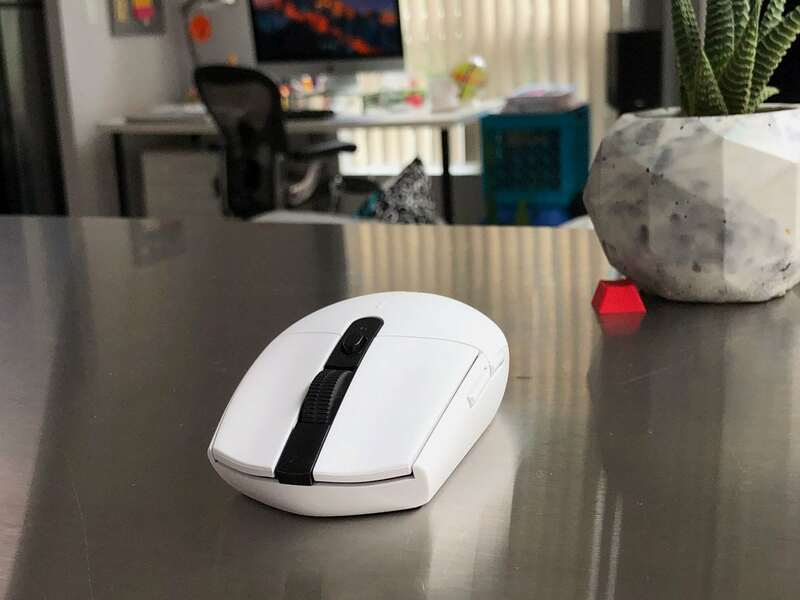 The wired version weighs a feathery 85g, while the wireless version weighs 88g maneuvering this mouse comes with ease, combine that with the sensor, this mouse is able to perform. The thick braided cable holds back the wired G Pro, all wired Logitech mice come with a thick braided cable that can and will drag on the desk and effect your aim. Since the mouse is so light any extra drag weight is really noticeable, good thing the wireless version is so great. The cable is so thick that it doesn’t fit in some mouse bungies. Even on the bungies that do fit, the cord can sometimes get in the way, you have to be really conscious of cord setup with the Logitech G Pro. The Logitech G Pro features a basic 6 button setup with side thumb buttons only for right handers, which kind of makes the ambidextrous shape kind of a waste for left handers. The Logitech G Pro has the best buttons on the market, by far, very tactile with high response and a pleasing click. The tuned Omron switches that are very well suited for MOBAs and shooters alike. This mouse has the best buttons for click spamming that I’ve come across, high APM players should take a look. DOTA 2 was a dream to play on this mouse. The side buttons are thin and are well placed above the thumbs with distinct separation between the front and back. Travel depth on the side buttons are satisfying, you’ll be able to tell when the button is pressed. The DPI switcher button is well placed and won’t get any accidental button presses. The scroll wheel is also fantastic, featuring well a defined stepping system on scroll, the surface of the scroll wheel is a ridged slightly grippy rubber. The middle click on the scroll wheel feels rock solid, the wheel itself is locked in place, has no travel left or right. I wish all mice had the G Pro button feel. 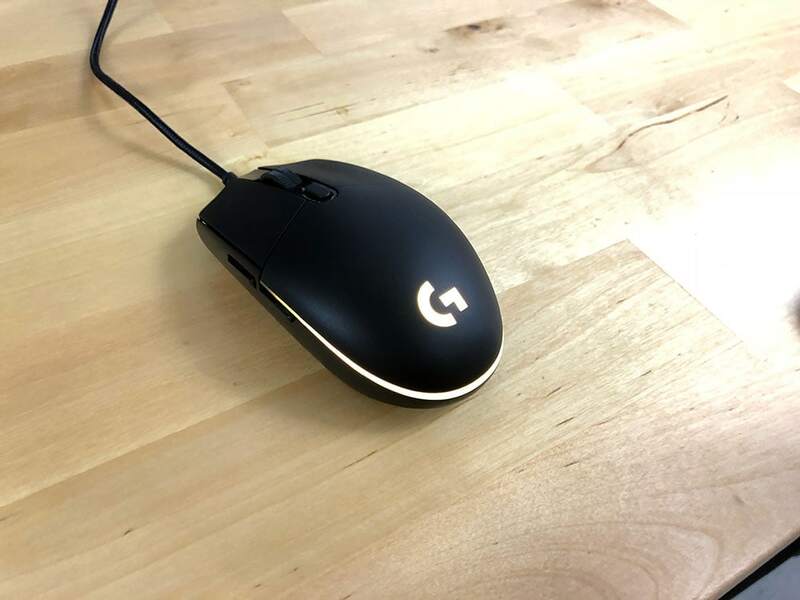 The RGB on the mouse runs along the heel of the mouse along with a standard illuminated Logitech G logo, no scroll wheel RGB on the G Pro. All in all the RGB is good with a solid striped design. Some gamers might miss a variable weight system, but the name of the game is light and small with the G Pro, so it’s a smart move by Logitech to not try to shoe horn that in. The Logitech G Pro is backed by a 2 year warranty. Logitech’s warranty is usually superb, my G403 scroll wheel started to act randomly and Logitech replaced the mouse with a G703 very quickly. 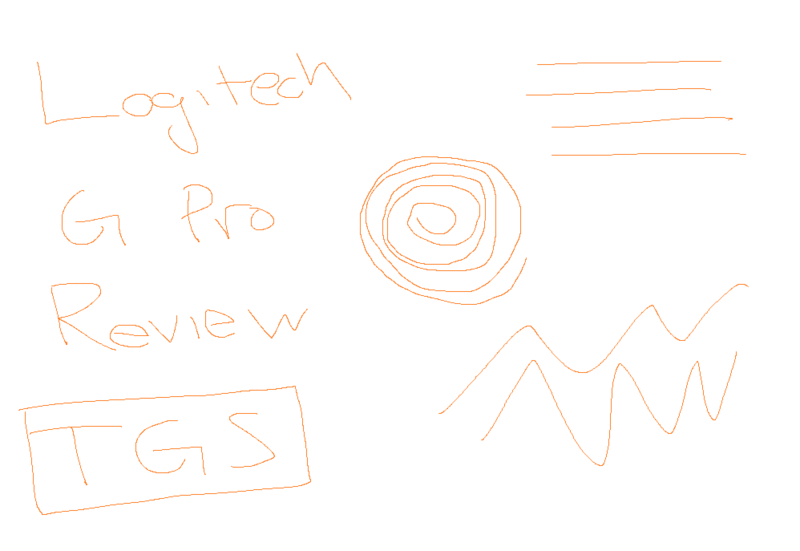 You can buy with confidence when dealing with Logitech products. At Logitech, it is our goal to ensure you are completely satisfied with your Logitech purchase. We take pride in the products and services we offer, and want our customers to enjoy them just as much as we do. If you are experiencing an issue, please click on one of the following links to learn more about the Logitech warranty. The Logitech G Pro/G305 is the best small ambidextrous mouse on the market packing a fantastic sensor, amazing buttons and solid software. The rivals to this mouse is the shorter and thinner Zowie FK2 and the new Zowie S series, these might be your ambidextrous pick if you prefer this shape, but if the shape preference is about even, you should definitely go with the Logitech with its better buttons and sensor.